Jim DeVincentis is known to just about everyone as Jimmy D. or just D.
DeVincentis is a native of the Pittsburgh area who graduated from Kent State University on a swimming scholarship. In 1976, D. received his Masters Degree in Broadcast Administration from Ohio University. Immediately after graduation, D’s first job was selling broadcast airtime at WYDD, then, a popular Pittsburgh radio station. In 1981, he met his future business partner, Glenn Przyborski. At that time, Glenn’s company, Hartwick/Przyborski Productions was shooting a project a week and needed a responsible line producer who could ride herd over escalating production costs. This was especially true since Hartwick/Przyborski Productions was selling the talents and shooting styles of four different directors. From the start, D. was well liked and accepted by agency creatives and their clients from all over the country. It was a natural transition for him to move from line producer to production sales. His hands-on experience producing numerous spots gave D. important insight when discussing and bidding projects. Agency people knew if D. said something would work, it did. In 1986, DeVincentis flew from his home in Pittsburgh to Chicago each week to head up the company’s sales office in the Windy City. Many of D’s contacts with Midwest agencies originated from his Chicago experience. When Przyborski co-founded West Hills Studios in 1987, it was only natural that Jim DeVincentis would assume the role of executive producer and marketing director. D was executive producer over all the company’s commercial productions. In late 1988, Przyborski teamed up with his friend, producer, and now, business partner, Jim DeVincentis to form Przyborski Productions. This successful business produces film and 4K digital originated TV commercials. At Przyborski Productions, D. handles the business side of the company. In addition to selling a project, he goes out of his way to make sure clients enjoy their Pittsburgh shoot experience. D. continues to swim and works out religiously. In 1984, he was inducted into Kent State University’s Athletic Hall of Fame. He resides in the suburbs of Pittsburgh with his wife Georgia. He is the proud father of two daughters, Dina and Maria, both graduates of Kent State University. 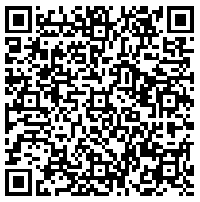 You can email “D” at jimmyd@przyborski.com or use this QR code V-Card to easily add Jimmy D. to your smart phone.